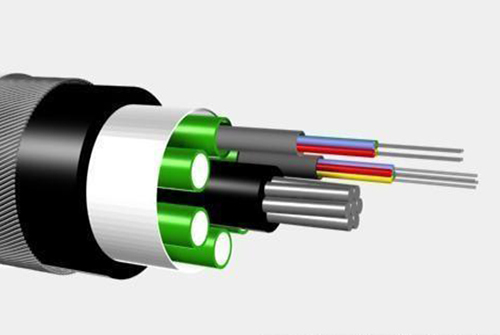 In the recent years, the fiber optic cabling has transformed itself as a new form of data transmission through cables which essentially comprises of fibers which has a capability to transmit data through light, as compared to the conventional mode of electrical transmission. The fiber optic cable has come into prominence since it accommodates and also transmits higher bandwidths of data. The bandwidth has also increased to the ratio of 100 Gbps as per a recent estimation. Structurally, the fiber optic cabling carries the light instead of the electricity which is conventionally used in the other cable networking. As per a recent analogy, the light as a medium is the fastest medium of connectivity and less prone to electrical and electromagnetic interferences. Since the light does not easily get interfered in its path, this is the ardent reason to choose the fiber optic cabling installation for long distance data transmission. Anecdote: In a recent technological conference, it was analyzed that some of the signals have been transmitted over 5,000 miles. This was only possible through the fiber optics as they are less bothered by any potential hindrances. As Fiber optics in the recent times, have been specifically used for good bandwidth coupled with speed, the fiber optic signals can transmit more than 10 GB/sec. Fiber optic has completely evolved in today’s scenario and with the ever increasing demand for digitization in an enterprise organization, these enterprises have also equally deployed the data centers, which could scale up to the data transfer rate at 100-Gbits/sec for single based and 40 Gbits/sec for multimode. Anecdote: The multimode data connectivity is usually deployed for short duration network connectivity and single mode data connection for long distances. As mentioned above, with the increasing demand and threshold of higher bandwidth data transfers, many corporate organizations are constantly upgrading their data centers and exploring innovative technologies to substantiate higher-speed architectures. The fiber optics have proven to be playing an instrumental role in the seamless network connectivity’s in the corporate world and digitally empowering them for the future demands. VRS Tech has been constantly on their edge to empower the numerous corporate entities towards the digital connectivity essentially through the fiber optic cabling systems. Our expert team are, always have been negotiating with the cutting-edge technologies to constantly govern the highest bandwidth data connectivity among the corporate. If you are an enterprise organization and would like to opt for the fiber optic alignment in your enterprise organization, please approach us at VRS Tech and call us at +971567029840 so that our technical team could get in touch with you for your endeavors. Please visit our official website at www.vrstech.com for more information on fiber optics. Posted in Fiber optic cabling.